You’d be hard pressed to find a mother who regrets having children, as this is simultaneously the most challenging yet most rewarding experience in one’s life. However, the longing for their pre-baby bodies (or perhaps for one even better) is real. Pregnancy and nursing can negatively affect women’s breasts, legs, tummies, and more. Despite a healthy diet and regular exercise, many new mothers find it difficult to lose the baby weight/fat. A Mommy Makeover can restore a mother’s body to its pre-baby state.. If you’ve been thinking about a Mommy Makeover, you can discuss your trouble areas and what you hope to achieve in your initial consultation with the double-board certified Dr. Manish Gupta. becoming frequent choices as well. 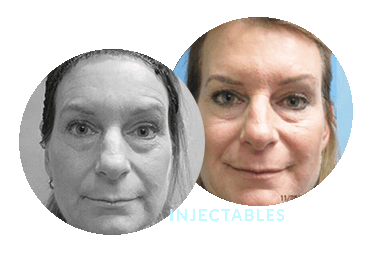 Sometimes smaller treatments are also occasionally incorporated into the makeover, along with these bigger procedures, including skin tightening, stretch mark improvement techniques, and cellulite treatments. There are many benefits to getting a Mommy Makeover. First and foremost are the psychological ones. Many women report feeling self-conscious and a loss of self-confidence due to the way their bodies have changed.. A Mommy Makeover can restore the self-esteem that is severely lacking, having far-reaching positive effects in other areas of the mother’s life. The other huge benefit is that multiple areas are addressed to achieve a complete makeover. As previously mentioned, however, this recovery will be fairly long because of multiple procedures being performed. Of course, the most obvious benefits are the physical ones. If you go with the most frequently chosen Mommy Makeover options, you’ll leave with a flatter tummy, perkier breasts, and fewer fat rolls. Because you get to custom-tailor your Mommy Makeover, you’ll feel like a whole new you post-procedure. The Mommy Makeover procedures are tailored to your particular concerns. While tummy tucks, breast enhancements, and liposuction are the most common, you can talk to Dr. Gupta regarding your individual goals for the makeover and come up with a treatment plan. Also known as mastopexy, the breast lift elevates the breasts to a more youthful position by removing excess skin and tightening the surrounding tissue. This is done to support the new breast contour. 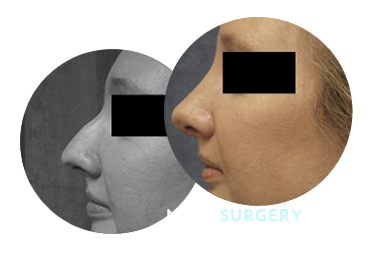 There are a variety of incision patterns and techniques that can be used. Dr. Gupta will make the decision based on the level of breast sagging, breast size and shape, and the position of the areolas. 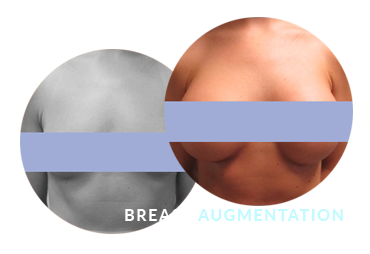 Also known as augmentation mammoplasty, the breast augmentation increases the size of the breasts with implants or fat transfers. When the latter is used, it’s often referred to as fat transfer breast augmentation. This helps the breasts to achieve rounder breast shape and breast size symmetry as well as increases fullness and projection. It does not help with sagging, however, which is why it’s often done in tandem with the breast lift. Breast reduction removes excess skin, glandular tissue, and breast fat to achieve a breast size that’s in better proportion to your body. It also helps to alleviate the many problems that can come with overly large breasts, such as skin irritation at the bra line, back pain, self-consciousness, and difficulty finding clothes that fit. 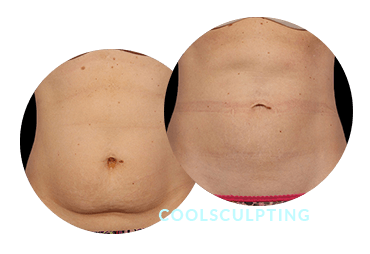 This procedure slims and reshapes problem areas by removing excess fat deposits and, in turn, improving the contours and proportion of the body. 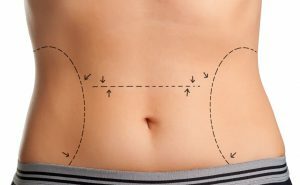 Liposuction is extremely popular, as it has been shown to produce consistently better results than noninvasive treatments. 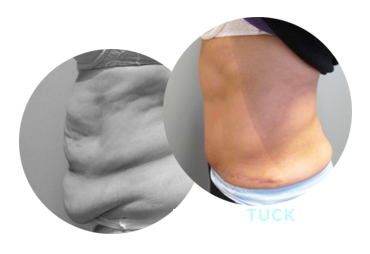 Also known as abdominoplasty, the tummy tuck removes excess fat and skin. In many cases, it can also restore muscles that have become weakened or separated due to lack of exercise and/or childbirth. The result is a smoother and firmer abdominal profile. The procedure depends on what you and Dr. Gupta agree upon when coming up with a treatment plan to address your problem areas. Depending on what you choose, the surgery can be performed in one day as an outpatient procedure. If your procedure choices are significant, however, you may be asked to stay overnight in a hospital for observation. 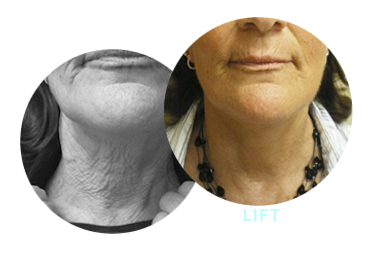 Dr. Gupta likes to assess this need on a case-by case basis. Either way, you’ll be put under using general anesthesia. You’ll wake up in our recovery area, where your needs will be tended to by our soothing and skilled professionals. Recover at your leisure and, once you are ready to be driven home by the loved one of your choice (if you are on an outpatient basis), you will leave with all the post-op instructions you’ll need for proper home care. After your Mommy Makeover surgery, bandages or gauze will be applied to your incisions. If breast enhancement was part of your surgery, a support bra or elastic bandage will be used to reduce swelling and supports the breasts. A compression garment will also likely be used to control swelling in other areas, such as in the buttocks, waist, and/or abdomen. Your post-op instructions for at-home care will include information on how to care for your surgical sites and drains (if used), medications you’ll need to take to speed healing and reduce infection, any signs to look for that might be cause for concern, and when to follow up with Dr. Gupta. Make sure to ask about other post-op instructions that will affect you once you are home, such as when you’ll have any drains removed, when you can bathe or shower, when to return for your follow-up appointment, and when you can return to work, normal activity, and exercise. The last thing you want to do is return to any of these things too soon and risk negatively affecting your results. The cost of your Mommy Makeover will vary based on the procedures you have chosen. After presenting your concerns and coming up with a treatment plan during your consultation with Dr. Gupta, you will be given a price quote for the procedure. Be happy with your body again—contact our office and schedule a consultation today.